Replace those sloppy worn out tie rods with our new replacements. Original equipment on 1948-1964 Ford half-ton pickups, but these can be used on many other applications other than Ford trucks. Not for use with flat steering arms. Use only with Ford type steering arms with a tapered hole. Not normally used with Chevy spindles. 1" from center of threaded shaft to the bottom of the taper. 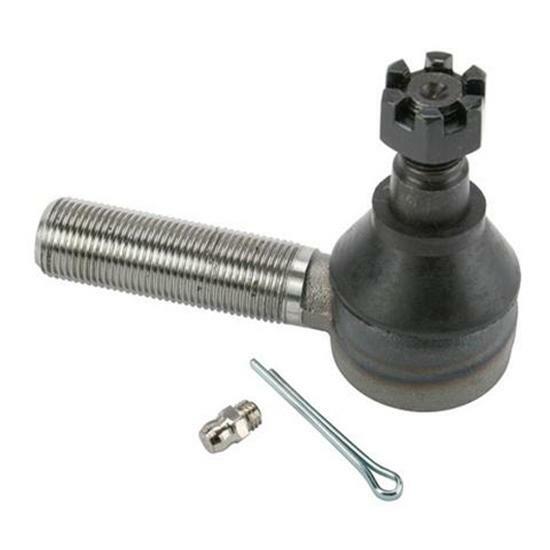 Includes boot, castle nut, and cotter pin.